The era of the trolley forever altered the development of the American landscape. Starting as a means of intra-city transportation, trolley lines extended outward by the start of the 20th century and promoted the growth of modern suburbs. By providing clean, low-cost, and reliable transportation for shoppers, tourists, and businesspeople alike, the trolley minimized the isolating effects of living outside metropolitan areas. One of the trolley lines that helped give rise to the era of the mobile suburbanite was that of the Branford Electric Railway Company. Street railways first began operations in New York City in 1832. Twenty years later, other major cities began recognizing the benefits of this new mode of transportation. By 1880, there were approximately 3,000 miles of track in the United States with over 18,000 cars hauled by over 100,000 horses and mules. It was around this time, however, that the city of San Francisco developed a system of cable cars to replace the horse and mule power that proved ineffective and dangerous on the city’s hilly streets. By the turn of the century, cable cars operated in a number of major cities, including New York, Philadelphia, Cleveland, Denver, and Chicago. The next step in the evolution of the trolley occurred around 1900, when hundreds of new, electrically-powered lines began extending out from the cities and into the suburbs. One of these lines ran through Branford. Opened in July of 1900, the Branford line was an extension of a trolley line that began serving the town of East Haven six years earlier. In addition to serving the vacationing populations along Long Island Sound, the line, which operated for nearly five decades, allowed Branford residents to get to work, to school, go shopping, or spend an evening in town. It was not long, however, before suburban trolleys faced new and, ultimately, insurmountable obstacles to their survival. First among these challenges was the growing popularity of the automobile and the expanding network of local and national highways. In addition, drastically increased costs of labor and materials, the Depression, and a series of damaging natural disasters proved prohibitive to cost-effective operation. The combination of all these factors led the Connecticut Company (owners of the Branford line) to discontinue service in 1947. The story of trolley transportation in Branford does not end there. 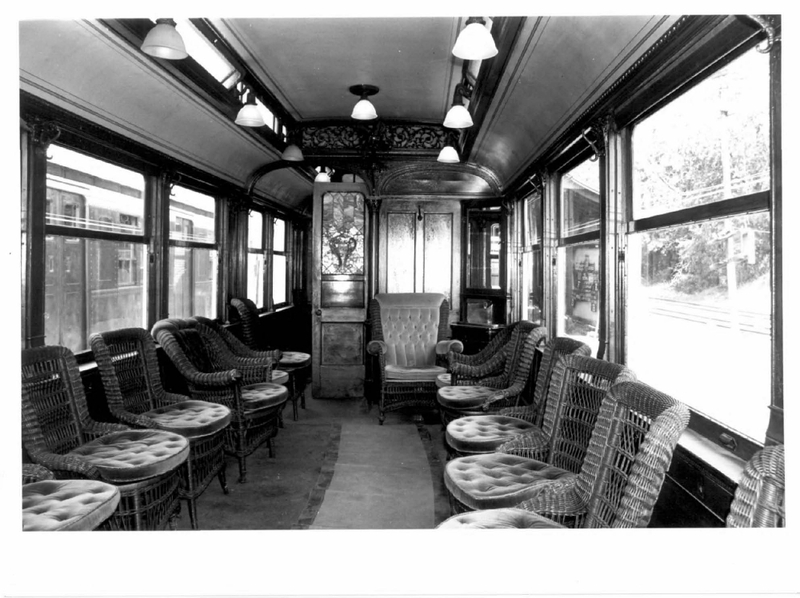 In 1945, sensing the demise of the trolley era, trolley enthusiast Wadsworth G. Fyler, along with numerous other investors and preservationists, formed the Branford Electric Railway Association. They purchased a 7,000-foot section of track between East Haven and Short Beach, along with the trestles, overhead wire, and everything else needed to operate the old “F” route of the Connecticut Company. This track, operated today by the Shore Line Trolley Museum, is the oldest continuously operating suburban trolley line in the United States and has been designated a National Historic Site. “The Shore Line Trolley Museum,” 2012. Link. The Shore Line Trolley Museum. “A Century Along the Branford Electric Railway, Part I.” Branford Electric Railway Association, 2012. Link. Branford Electric Railway Association, and John R. Stevens. 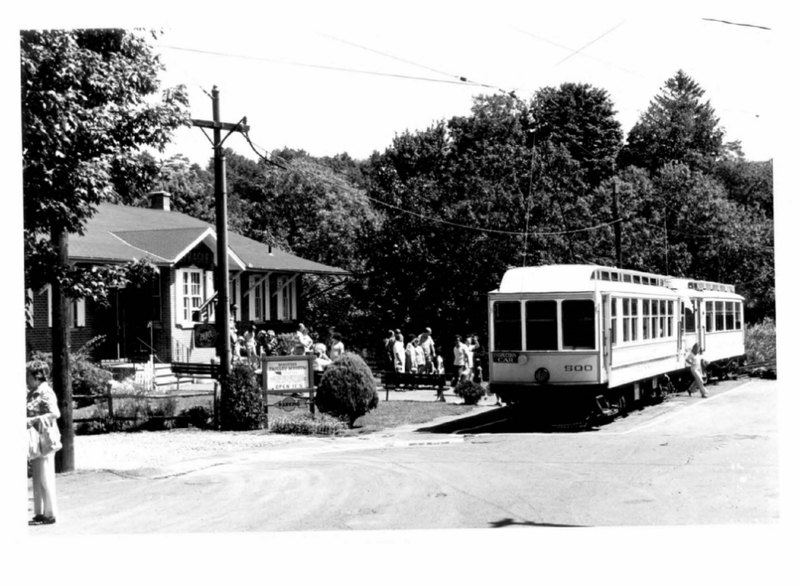 Ride Down Memory Lane: The Story of the Branford Trolley Museum. Short Beach, CT: Branford Electric Railway Association, 1965.